Decisions is a browser-based design Studio and Portal . 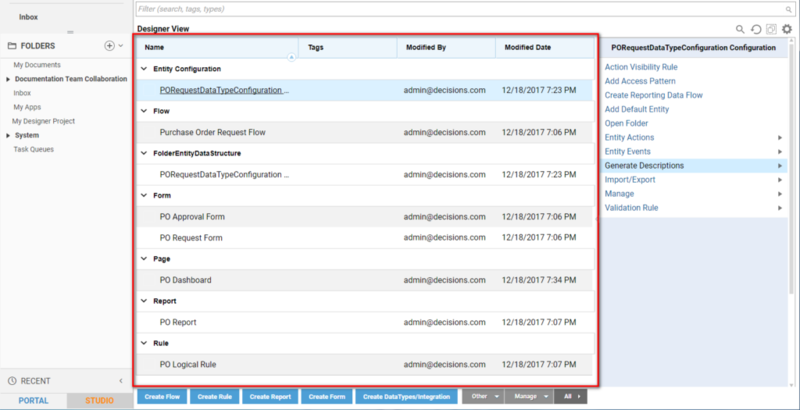 As a design studio, it offers a graphical interface that lets you create custom applications using forms , logic rules , data reports and more. 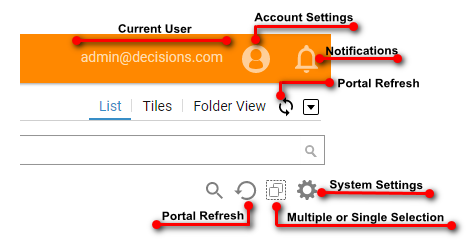 As a user portal, it lets users work tasks and see pages or dashboards within an organization (as set by admin). 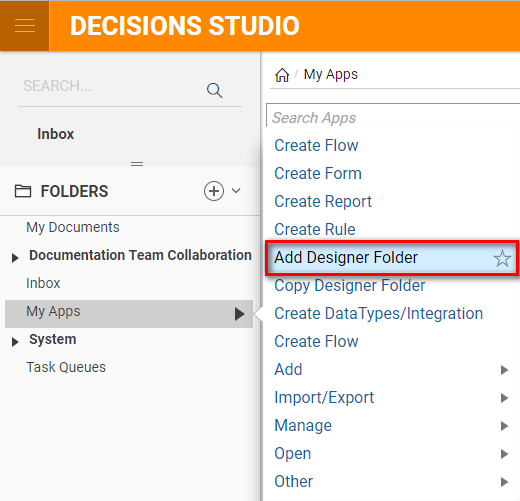 For example, you can use Decisions Studio to create a task management application and use the Portal to show users tasks that are assigned to them. 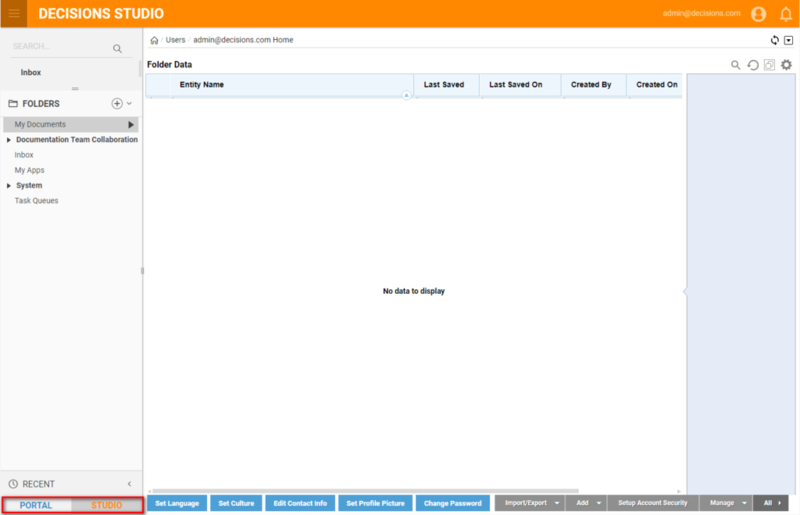 Both the Studio and the Portal use the same in-browser interface. The rest of this article will briefly step through its different areas. We start in the Decisions Studio - the full administrator view. In the top left hand corner there is a drop down menu that lets us toggle between the Studio and Portal views. At this point, don't worry if your portal looks somewhat different from the above screen shot. For example, you may have different root folders under the folder tree (by default the root folders are: My Tasks, My Apps, System, Task Queues). These folders are called Designer Folders and they will contain the entities for your applications: flows, forms, rules, etc. You can create a new Designer Folder by right-clicking on My Apps	and clicking Add Designer Folder. 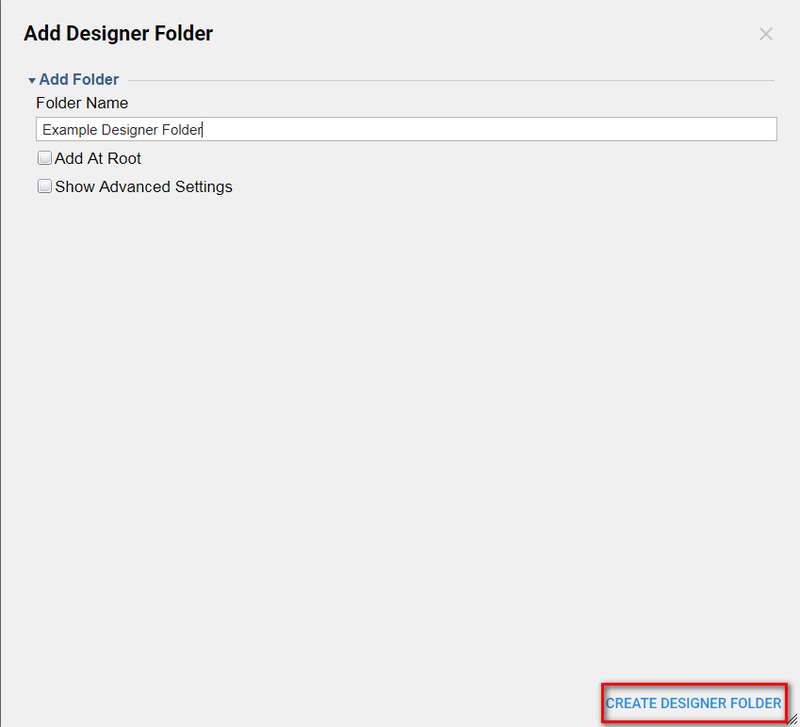 In this example we create a Designer Folder called "Example Designer Folder." 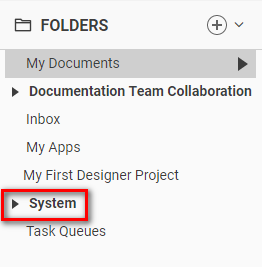 Back in the Folders tab, the System	root folder contains settings and default entities. For more information, see About the System Root Folder . There are multiple ways to do almost everything in the portal. 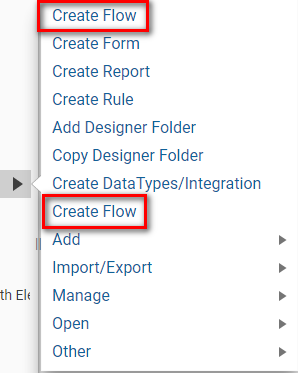 For example, to create a new entity in a designer folder, for example a flow , you can right-click on the designer folder then click Create Flow. 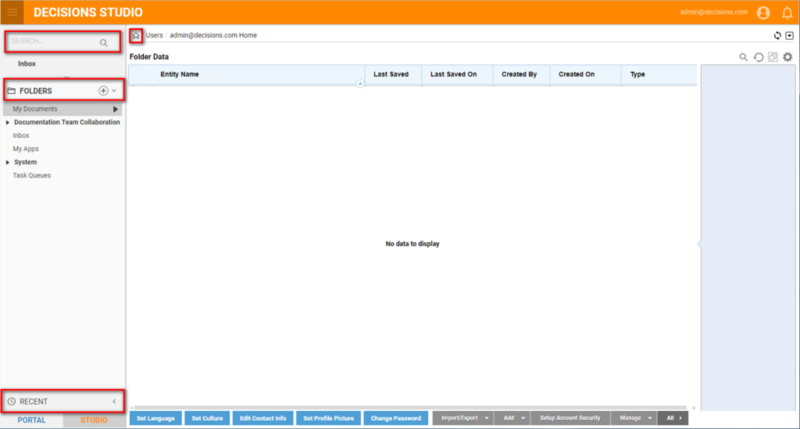 Alternately, at the bottom of the right panel you can click Create Flow.